Can dogs smile? This question has sparked dozens of debates around the world reaching different conclusions. Animal lovers will always bet on themselves. Meanwhile, the most skeptical will always go to the non-existence of the canine smile. In My animals, as lovers of them, we believe not only that the dogs smile but that their smile can be seen all over their face. They convey emotions and feelings through it. 1 Can dogs have a smile? 2 How do dogs laugh? 3 Something more than a smile? 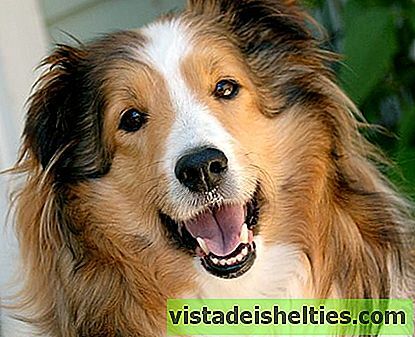 4 How can you get a smile from your dog? Can dogs have a smile? According to scientific studies, dogs not only show their happiness through the tail, but they do different curvatures with their mouth when they are happy, something that can be interpreted as a smile. So, yes, you're not crazy, the dogs smile. When you play with your hairy and you see him happy and you thought you were crazy to believe he was smiling, no, he was doing it. 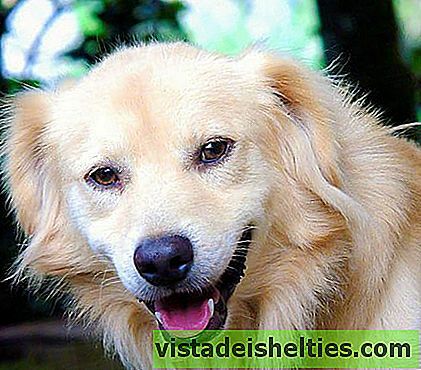 The smile of the dogs reflects their happiness, their deepest feelings and emotions. The first to "promote" the smile of the dogs was a well-known Nobel laureate: Konrad Lorenz. Everything happened to him one day, playing with his pet. I would swear to have seen him smile, so he explained in his book "The man knows the dog", that the smile of a dog transforms his face and makes him stick out his tongue a little. This topic has been studied by dog ​​experts and their behaviors. For example, Patricia Simonet, one of these experts, came up with a brilliant idea. Record the "laughter" of the dogs. He gathered several furry ones and recorded the sounds they made while playing and having fun. What he discovered was surprising: not only are his panting different while having fun, but they also spread it to other dogs! When one laughs, the others follow him. Who can deny that laughter is contagious? In addition, Simonet thought that these recordings could have a more beneficial utility than a simple study. He thought that if he used them in shelters, the sounds of the smiles of these dogs could be spread to those who were mistreated or abandoned. And so it happened! The mood of the dogs that were in centers and shelters changed for the better when listening to the recordings. Something more than a smile? There are investigations that are not satisfied with believing that dogs can smile, but that they also have their own sense of humor. How they channel it or use it with others, whether humans or dogs, is something that remains to be seen. What is certain is that animals can show joy and happiness with a smile. And to think that we always believed that they could only do it with their tail! How can you get a smile from your dog? We all want our pets to be happy, but we know that for this we need to dedicate our time and energy, and sometimes our patience. Play with him. A dog needs games, running, jumping and feeling that you have to do it. Take him to a place where he can run freely, where you can go after him, throw a ball or even be with other dogs. If you never saw your hairy smile, have the camera at hand, with the game session will not take long to give you a smile. Pamper him. Take time to pamper him, to tell him nice things, to hug him, you'll see how before you know it, he gives you a smile. Massages. Give your hairy a few times massage, it is possible that the pleasure they make you feel make you smile before you think. We already know that there will always be debates around this topic, but as you can see, it is proven, dogs can smile and this smile is reflected in their entire face. Do not miss it and do your best to win it!